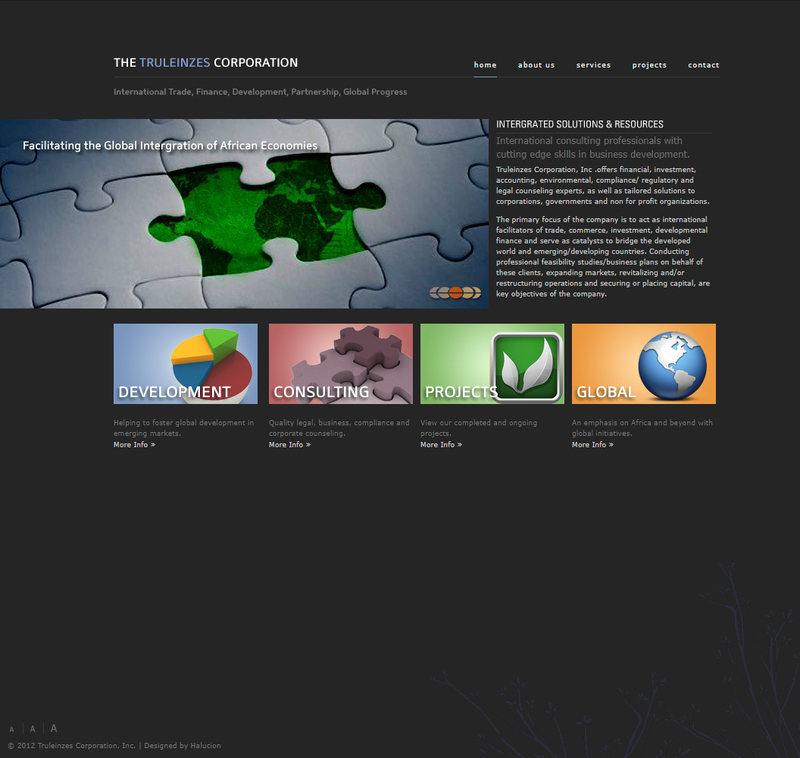 Truleinzes Corporation, Inc. offers financial, investment, accounting, environmental, compliance/ regulatory and legal counseling experts, as well as tailored solutions to corporations, governments and non for profit organizations. The primary focus of the company is to act as international facilitators of trade, commerce, investment, developmental finance and serve as catalysts to bridge the developed world and emerging/developing countries. Conducting professional feasibility studies/business plans on behalf of these clients, expanding markets, revitalizing and/or restructuring operations and securing or placing capital, are key objectives of the company.